Let's face it, USB-C isn't going anywhere and more devices will start creeping up all over the place with this standard. Might be time to think about getting yourself a future proof charging and having it backwards compatible? Important to note Benson indicates that the Type-C isn't compliant with USB-C SPECS. Engineered to refuel devices up to four times faster than conventional charging. Powered by INOV (Intelligent Negotiation for Optimum Voltage) Technology for fine-tuned power output and more optimised charging cycles. 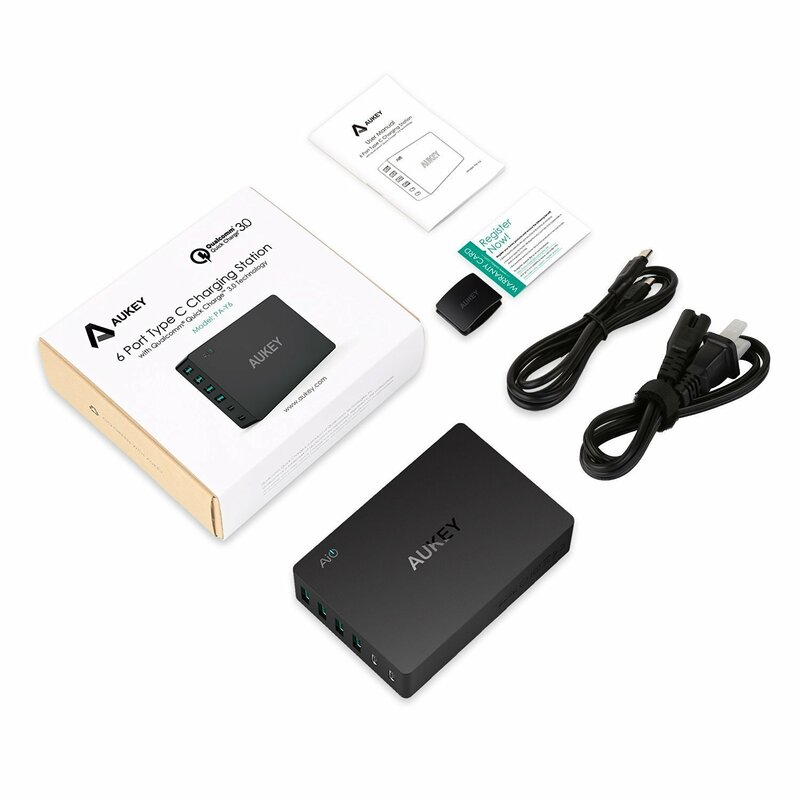 Up to 45% more efficient than Quick Charge 2.0 & compatible with a full range of USB connection types, from A to C.
Charge your Nexus 5X or 6p at 5v 3A or the latest generation of USB-C devices powered by the Qualcomm Snapdragon 820 with a C to C Quick Charge 3.0 connection. Fast & future-proof charging tech. The signature green AUKEY AiPower USB port adapts to your devices to provide the safest maximum recharge rate with up to 2.4A of dedicated output. Compatible with all your USB-powered gear whether Android, Apple, Bluetooth headphones or speakers, smartwatches, dash cams, etc. This device which is just under the $50 mark at $49.99 will be able to power everything you may need to throw at it.